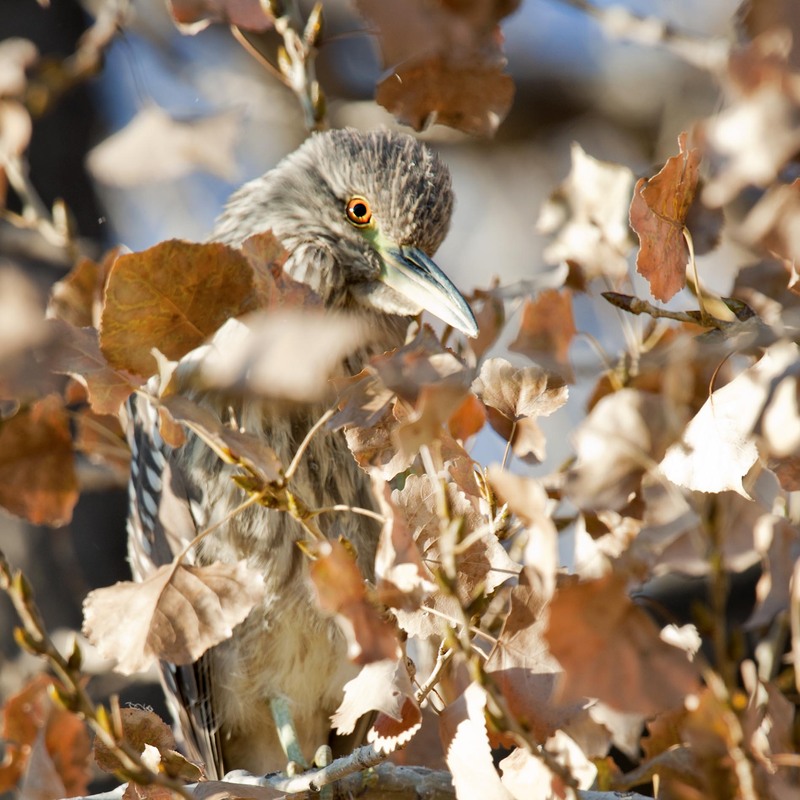 Except a beautiful juvenile Black Crowned Night Heron watching the pond below from the comfort of a wonderful cottonwood tree. Along Clear Creek in Denver, CO. I love this picture. He’s tucked away peacefully content. Hi and thanks for passing along the photo and linking to it. We appreciate it. Hope your day has been great and wishing you a good week ahead. Thanks Jane, this guy was almost too easy to miss. Hope you had a great weekend and congrats for your being featured on WordPress discover. It would have been easy to miss this one. Nice! Hi Lb, we may in fact walk right by this guy once or twice that afternoon. A wonderful image which illustrates SO well that sometimes what appears to be ‘in the way'(such as these leaves) can actually add something to the appeal of the image as a whole. Thanks Anne, hope your doing well and having a great day.